Goodnight Server Room is a children's book about computers and data written for kids ages one to five. Printing is in progress and shipping is expected October to December of 2017. 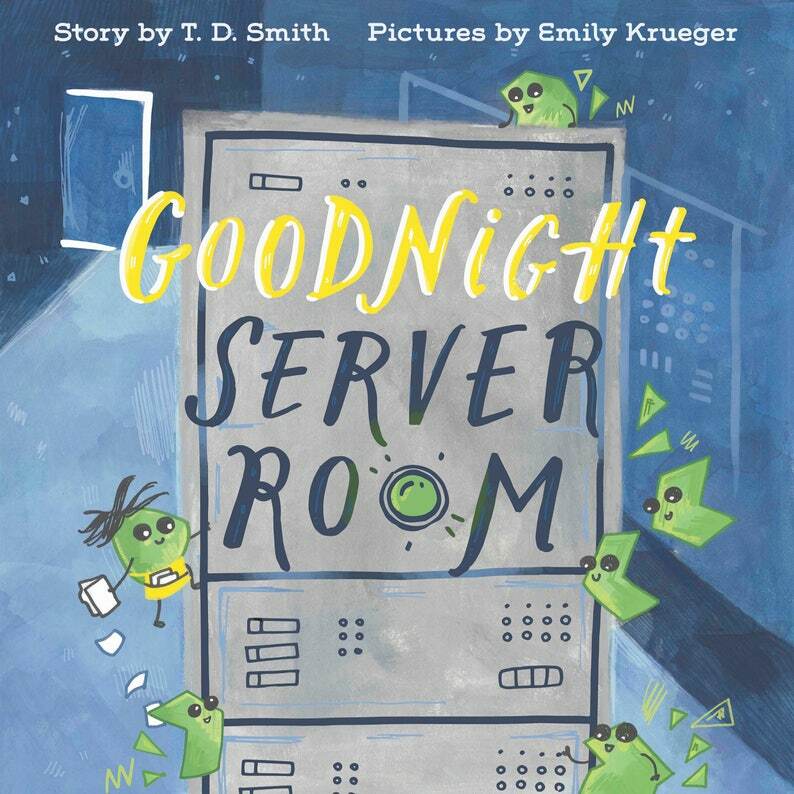 Goodnight Server Room is written in verse in the tradition of the great children's books that came before it, notably Goodnight Moon and Goodnight Construction Site. Following in their style, Goodnight Server Room meanders through a whirring world of computers, pausing on each page to introduce a new word or concept. Data are a running theme in Goodnight Server Room. After all, computers are really just engines for data. - Data (bits/bytes/packets/etc) are composable. Packets are made of bytes, bytes are made of bits. - Data are the most important things in computers. They carry the messages, store the pictures, and tell the computer what to do. 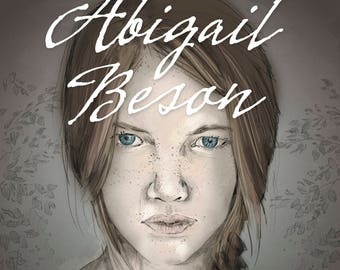 I recruited Emily Krueger to illustrate this project. Her background is in art and her focus is in organics - trees, animals, moss - the soft, approachable things of the world. If I'd set out to illustrate this book myself, it would have ended up looking like a textbook for two year olds. Together Emily and I took the rigid world of computers and softened the lines. We let data be silly and fun. This is not a study guide. This is a playful romp through a server that will introduce some new words and give moms and dads a good chuckle. Wonderful book and perfect gift! What a delightful book!! I happened to see it at The Red Balloon bookshop in St Paul, but wasn't able to purchase at the time. My husband is in school for computer network and I'm planning on giving this to him to read to our kiddos. I think he'll get a kick out of it! Love this. I literally laughed out loud while reading it - very cute and clever. It's all accurate as far as I can tell, and I even learned a few things :) The art is fantastic. Shipped super fast. I'm hoping the author and artist will make a whole series of tech nerd kids' books! Nicely done. Good quality printing and finish. Cool way to introduce my kids to what I do for a living.